If you’ve read my last piece for Basenotes (Buying The Dress Was Easy …), then you’ll know that I’m having a hard time selecting my perfect wedding fragrance. To that end, MrLippie and I found ourselves at the Covent Garden Penhaligons store a couple of weeks ago, to have a fragrance profile that might help us narrow down our choices. A service that’s open to everyone, for any occasion – and it is free! – I can heartily recommend it. We were there for a couple of hours (because we were chatting so much, it doesn’t have to take so long), and it’s thoroughly enjoyable. You talk for a little while about your choices in fragrance, what the occasion you want your perfume for, and general chit-chat about your life, and a little bit of the history of the brand (which is fascinating, by the way) then you’re handed scent strips to sniff of fragrances in their particular families. What made this super-interesting for us, is that we were encouraged not to sniff each others samples, and we weren’t told the names of the fragrances, so that we could avoid any associations we might have already made with the scents we might have already known. 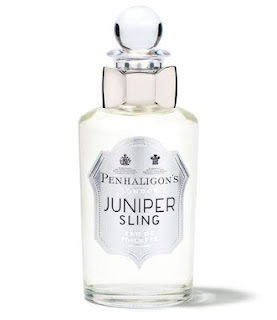 It was, in many ways, a perfect blind sampling of the Penhaligons range, and we found we picked some very interesting, and somewhat random fragrances for ourselves as a result. Eventually you narrow your choices down to three scents, which are then sprayed onto your arm, and you make your choice once you’ve had a chance to see how the fragrance settles on your skin. Only at this point were myself and MrLippie allowed to sniff each others choices! My final three were Amaranthine, Love Potion No9, and Night Scented Stock, respectively a “corrupted floral”, a “spicy floral” and a soliflore. You’d think I like flowers, or something! MrLippie decided on Opus 1870, Juniper Sling, and Sartorial. 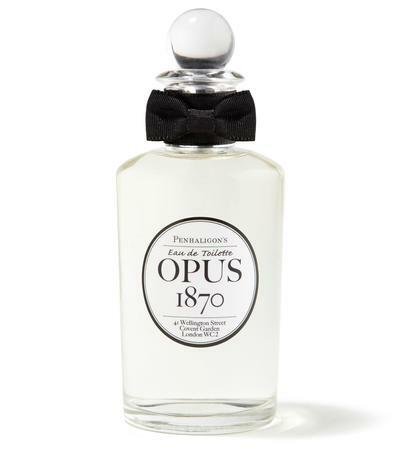 I was as amused by MrL’s choices almost as much as I was surprised by my own, Opus 1870 is a fizzy (to my nose) and spicy classic, which I’m genuinely hoping he will decide to wear to the ceremony, and Juniper Sling is one of my own favourite scents, which he’s always refused to wear previously! Sartorial, we both liked very much indeed, but it felt just a tiny bit “every day” to wear for a wedding. It is rather wonderful though. As for mine, well, LP No9 has an oddly masculine opening, rather fougere-seeming, but dries down on my skin into a slightly spicy floral, which has a tiny hint of shaving foam to it. Nicer than that sounds, honest! 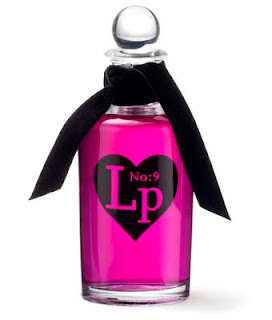 I do like a bit of a masculine-seeming scent. And, I can’t deny it, the fact that the juice matches my dress in colour is amusing the heck out of me. Night Scented Stock has a very different opening, reminscent of engine oil, and geraniums, but again dries down into something a little more traditionally floral. Amaranthine (which I’m simply going to have to acquire a bottle of) is beautiful, creamy, lush and spicy, but I felt it was a little too odd for the day itself, though I’d be happy to wear it any other time. 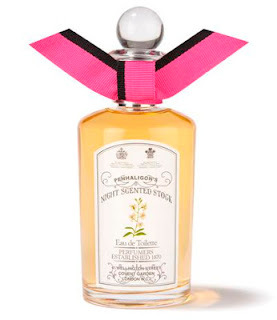 If you get a chance to go to the Penhaligons store, please do take advantage of the fragrance profiling service, it’s a knockout. Next Post I’ve had a facelift!